This new adaptation of Voltaire’s outrageous satire tells the story of the young and naïve optimist, Candide, and the absurd hardships that challenge his innocent outlook on life. 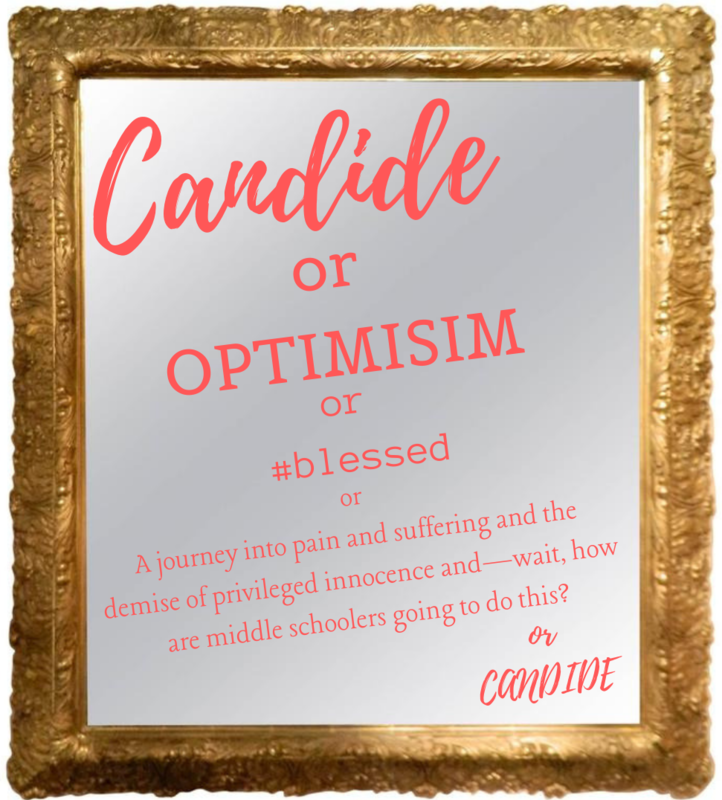 After being banished from the kingdom of Westphalia, Candide and his fellow school-aged companions begin a journey through the world encountering wealth, wisdom, and nearly unending woe as Candide desperately tries to reunite with his love, Cunégonde. Is everything that happens really for the best? Is this really the best of all possible worlds? And do we really wear pants just because we have legs? Find out in Candide.